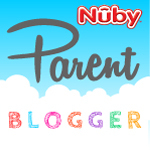 Today we’re reviewing the Thirsty Kids Flip-it Water Canteen we received compliments of Nuby, as part of our role as an official Nuby Parent Blogger. This cup is designed for ages 18mos+ and holds 12oz of water. 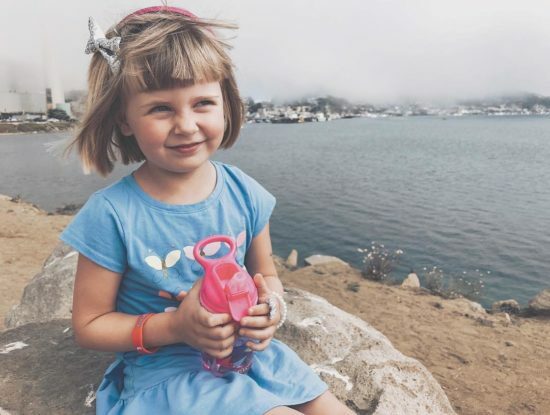 It features a flip-top spout with a built-in straw in a BPA-free plastic that comes in a fun and modern print. 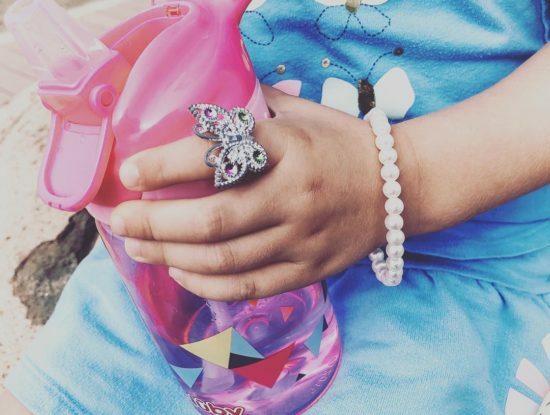 Miss 4 year old Clara uses this water bottle in her school lunch box and she loves it. The first day, it leaked. But that was my fault because I didn’t have the silicone part pushed all the way into the bottom of the lid. So pay close attention when you are putting it back together after washing it. Haha. 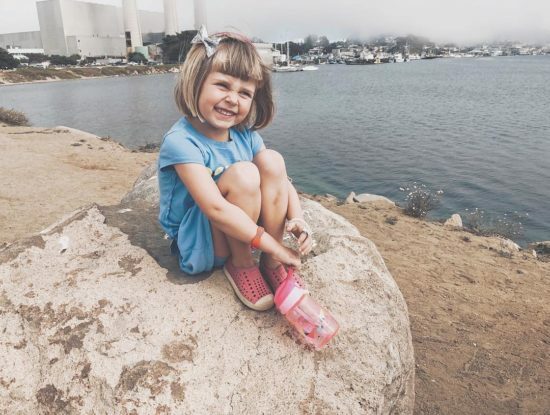 Well there you have it, folks, there’s the makings of the perfect water bottle according to my kid . As far as any areas for improvement with this cup, I’d love to see a pop-top spout cup that doesn’t leak when you turn it upside down! Though they all do that, across most brands, so I’m not sure if that’s possible 🙂 But a girl can dream, right?